November 9, 2018: Listen to Mark Campbell speaking with Michelle Eliot on CBC Radio BC Today Show: What Do You Think About On Remembrance Day? 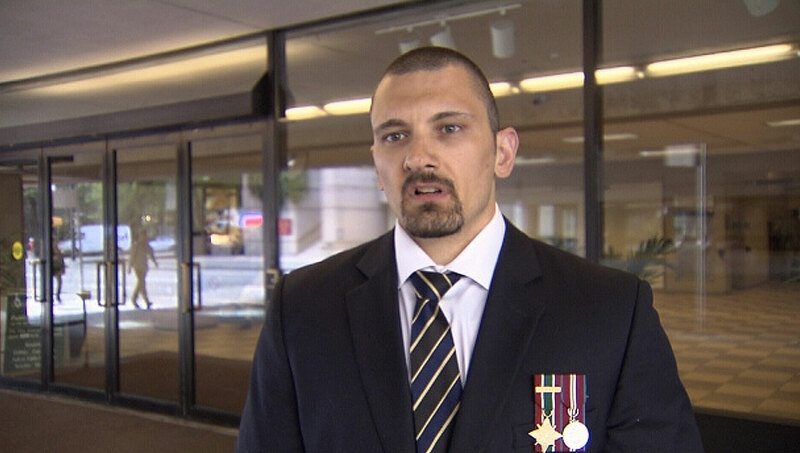 Vancouver, BC (August 30, 2018): It is with great disappointment that the Equitas Society announces that the Supreme Court of Canada has denied leave to hear the appeal of the Veterans’ pension lawsuit. 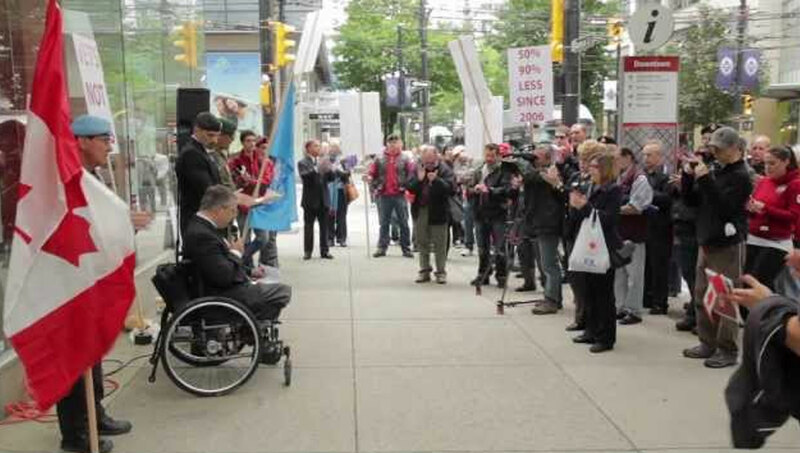 On October 30, 2012 Miller Thomson, working pro bono, filed an application in the BC Supreme Court to certify a Class Action Law Suit for disabled soldiers who have received low settlements under the New Veterans Charter. Equitas signed an agreement with Miller Thomson requiring Equitas to provide all the legal action disbursement costs (eg: doctor’s medical report fees, court fees, etc) -estimated initially at $100,000.00. 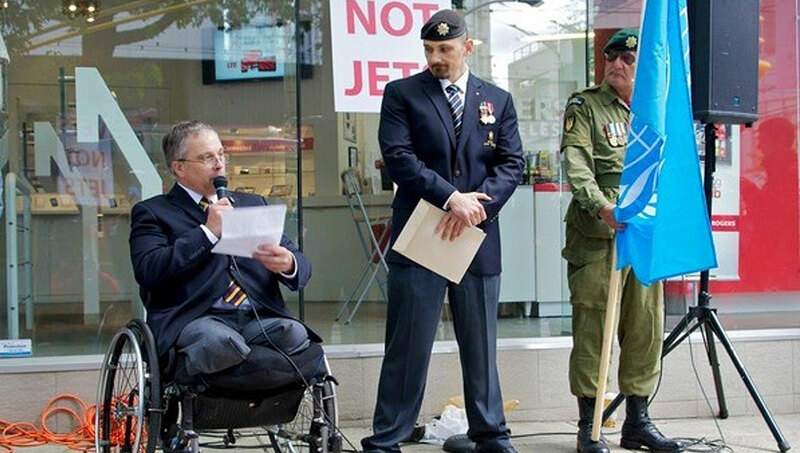 Equitas believes in disabled soldiers getting fairly compensated for their service. 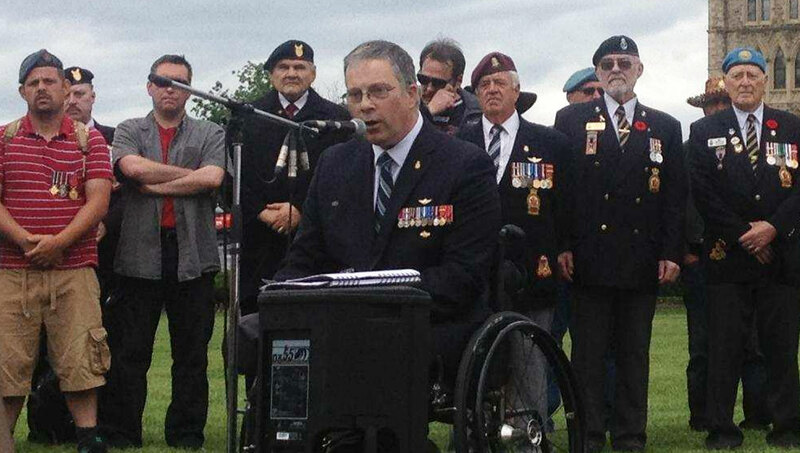 With your help we can restore the Canadian Government’s commitment to its veterans to one that dignifies their sacrifice. The class action brought by representative plaintiffs on behalf of thousands of individuals having common interests. 1. Be treated with respect, dignity, fairness and courtesy. We will listen carefully to what you have to say and be fair and polite. 2. Take part in discussions that involve you and your family. We will talk with you to learn about your needs. Your family and your community are important to you and your well-being. We will keep this in mind when making decisions that involve you. 3. Have someone with you for support when you deal with Veterans Affairs. You can choose to have a family member, friend or other trusted person with you for support when you visit our offices or when we visit you. 4. Receive clear, easy-to-understand information about our programs and services, in English or French, as set out in the Official Languages Act. We will give you information that is clear, easy to understand and in the language of your choice, whenever we write to you, talk to you, or visit with you. 5. Have your privacy protected as set out in the Privacy Act. Information we have about you will be kept private as set out by applicable law, including the Privacy Act. 6. Receive benefits and services as set out in our published service standards and to know your appeal rights. We have put our service standards in writing. We will provide services and benefits to you in the time set out by these standards. We will inform you of your appeal options and how to get help with an appeal, at the same time that we give you our decision about a service or benefit. 7. Receive counselling and assistance in filling out applications. We commit to assisting you complete your applications so that claims will be appropriately processed without unreasonable delay. We will also provide this service at any time throughout the application process. 8. Preference in public service employment. We commit to assisting you gain priority hiring for employment in the federal public service and also commit to supporting you in sustaining that employment. 9. Receive all entitlements, benefits and services you qualify for without need of additional applications. Veterans Affairs has the responsibility to ensure you receive everything you qualify for. 10. Right to Government funded representation. You will be provided with free legal representation to assist you with your claims throughout all aspects of the application process including representation in the courts. The Canadian Forces are the armed forces of Her Majesty raised to defend Canada and protect its people, free institutions and interests in a manner that best serves the nation’s parliamentary democracy. 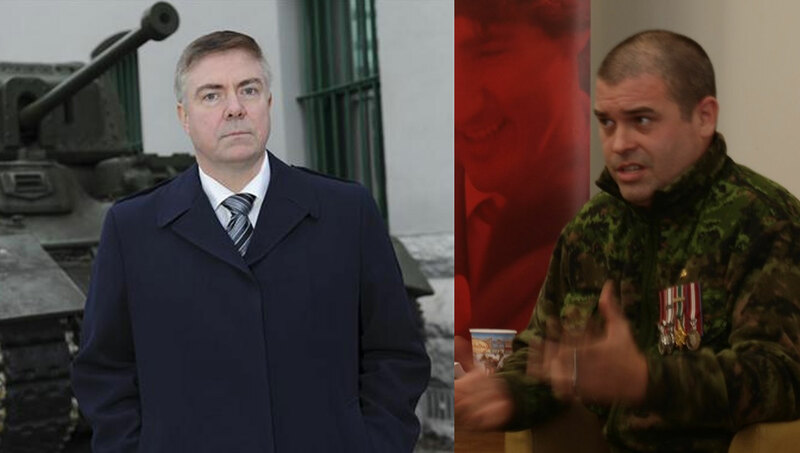 The service men and women who make up the Canadian Forces, while serving, must forego basic Human Rights enjoyed by other Canadians.